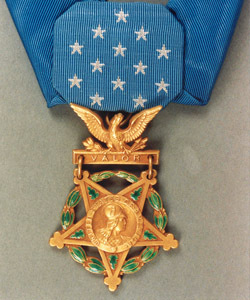 The Medal of Honor is the United States of America's highest military honor, awarded for personal acts of valor above and beyond the call of duty. The medal is awarded by the President of the United States in the name of Congress to US military personnel only. Charles B. Morris, born on December 29, 1931 in Carroll County Virginia, joined the Army from Roanoke, Virginia in 1953, and briefly served during the Korean War before serving in Vietnam. By June 29, 1966 he was a Sergeant in Company A, 2d Battalion (Airborne), 503rd Infantry Regiment, 173d Airborne Brigade (Separate). During a firefight on that day in the Republic of Vietnam, Morris continued to lead his squad, fight the enemy, and help the wounded despite being wounded himself four separate times. 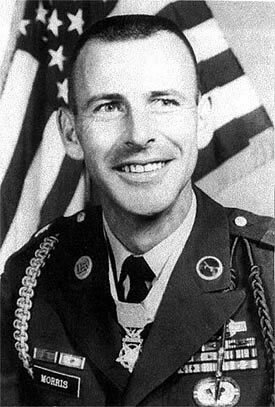 For his actions during the battle he was promoted to Staff Sergeant and, on December 14, 1967, awarded the Medal of Honor. 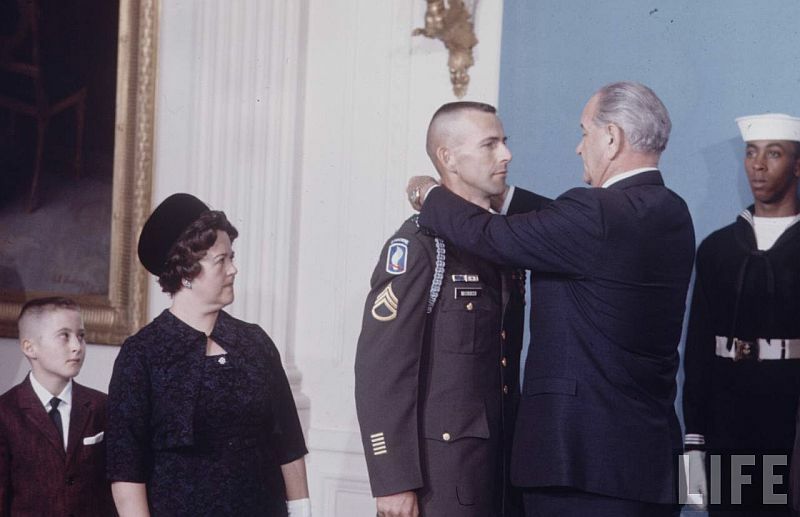 Morris reached the highest enlisted rank, Sergeant Major, before retiring from the Army. He died at age 64 and was buried in Morris Cemetery, Fancy Gap, Virginia.